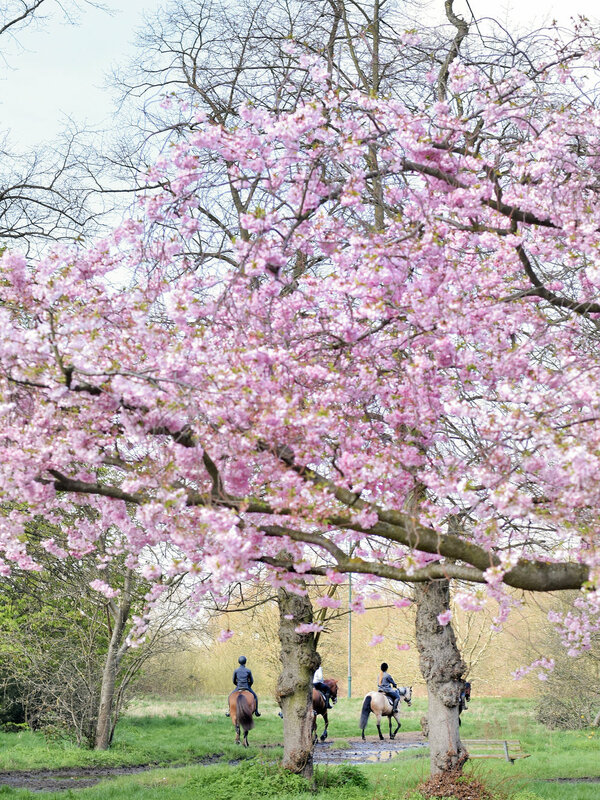 I really started to notice the Spring Blossom in London 4 years ago. It was just after my eldest was born. She's a March baby. I was taking those first tentative steps out of the house, bruised after a C-section, giddy on little sleep and powered by coffee when I noticed our street lined with pretty white blossom. I don't know why I never really noticed it before - I guess I was always rushing to and from work. After a few weeks it was falling like confetti and it felt like summer was on the way. Instagram is awash with cherry blossom pictures at this time of year. Like many, I had plans to take my camera out and capture it in all its glory. I'd heard and seen wonderful pictures from Greenwich, Battersea and Regent's Parks from over the years. In the end I popped on the bus and headed to Wimbledon Village on a bright Spring day. There at the top of the hill I was greeted by a spectacular blossom tree, its branches stretched out, proudly boasting its sea of pink blooms. Just as I started to photograph, I noticed riders from the local village stables setting out onto the common, padding through the muddy puddles left after a damp Easter break. I was so taken with the tree I went back a week later, planning to take some more pictures (you can tell I like blossom)! but as I once again stepped off the bus, the tree stood before me was bare, the blossom dry and the pink flowers gone. That's the thing with blossom season -you blink and its gone but it’s always special while it lasts.